Valentine's Day Dinner at Houck's Grille! Join us for your Valentine’s Day! 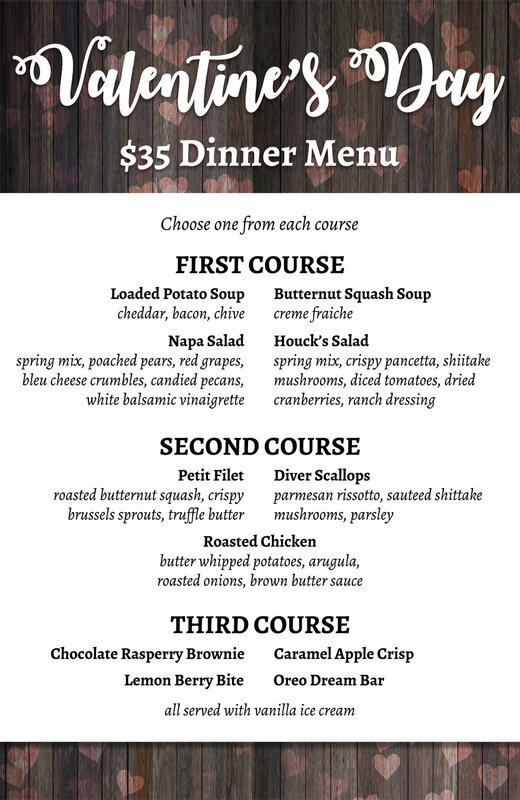 We are featuring a $35 3-Course Dinner that can WOW your valentine. Reservations begin at 4pm, and we close at 10pm. Click the link below to make your reservation and receive a complimentary glass of champagne!